Congratulations to our BSL Level 1 2017/18 learners! 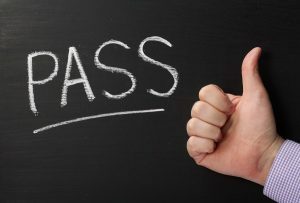 With our 2018/19 Autumn Term classes now well under way it’s about time we gave a shout out to our BSL Level 1 learners who have now achieved their BSL Level 1 qualification. A huge CONGRATULATIONS to all our learners on Stefy’s Level 1 class at Bournemouth Deaf Club and George’s Level 1 classes in Poole and Dorchester – we are over the moon to confirm that our 2017/18 BSL Level 1 courses achieved a magnificent 100% pass rate with just one successful resit. Thank you to our fantastic tutors, Stefy and George, and to Lynn, Helen, Jas and Louise for their invaluable support at our classes and workshops to help get our learners assessment ready! Good Luck to those of you continuing on your BSL learning journey with us. It’s great to see so many of you moving on to BSL Level 2 and we look forward to seeing more of you at our upcoming BSL Workshops and future events. « Hard of Hearing Communication Card now available!